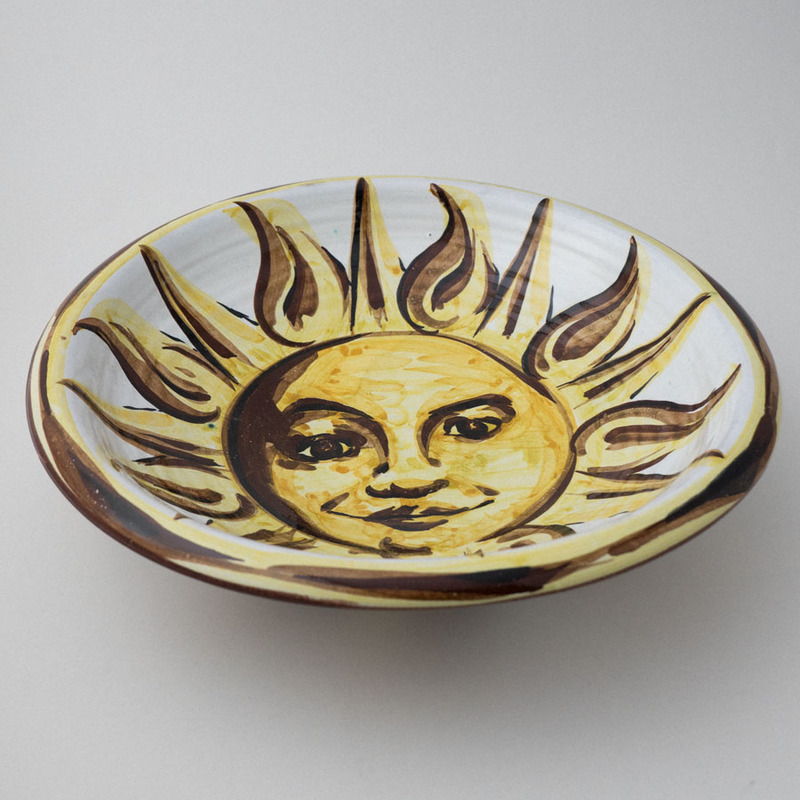 Sun Dish by Brian Fortune. 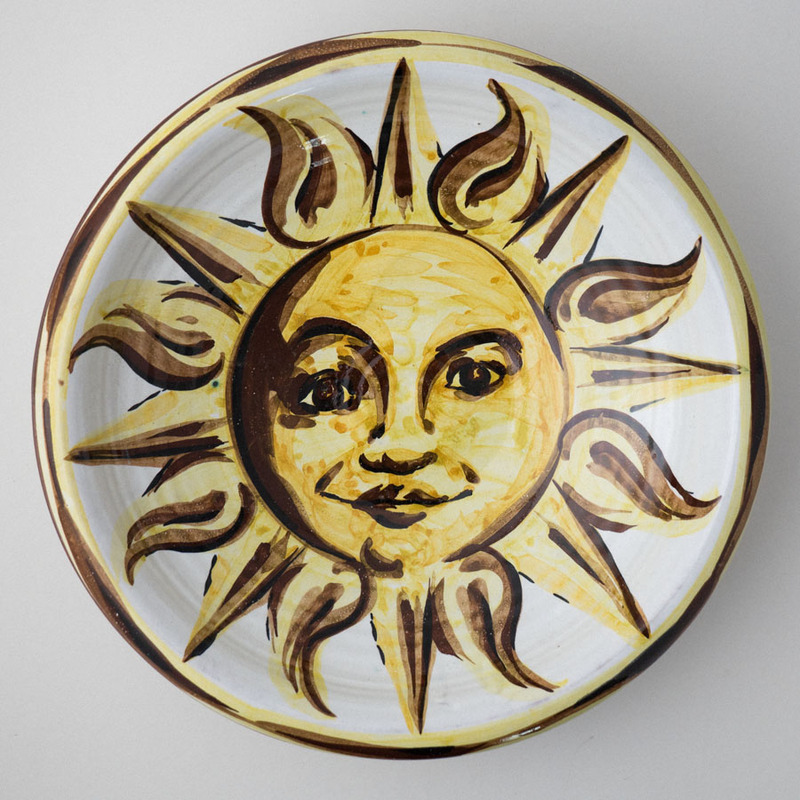 A decorative dish emblazoned with a smiling sun by Brian Fortune. 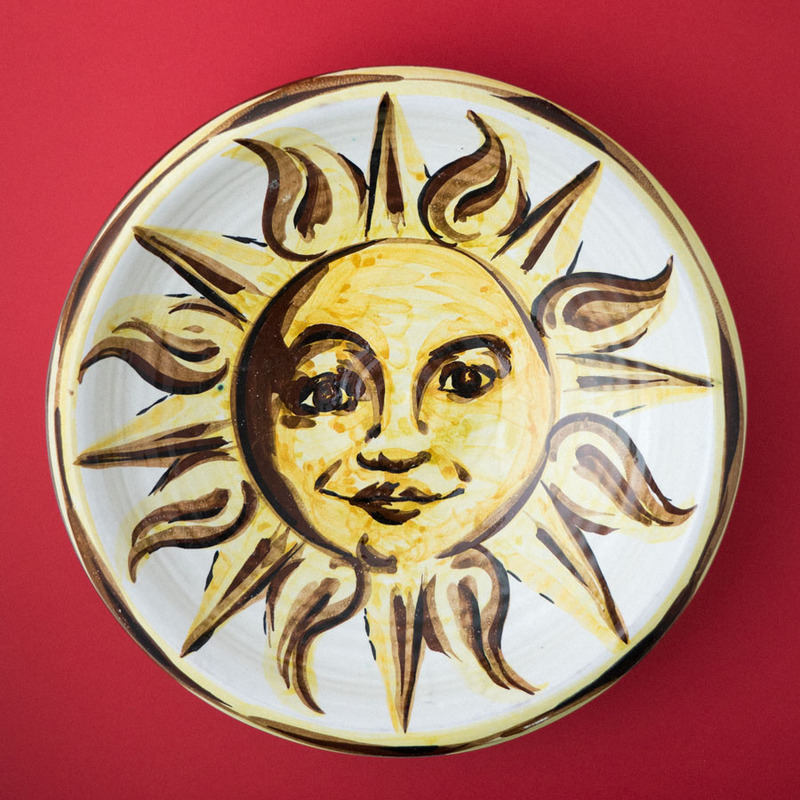 A hand-thrown shallow dish decorated with an expressive smiling sun motif. This sun motif is very traditional and a design that we have created many iterations of through the years. 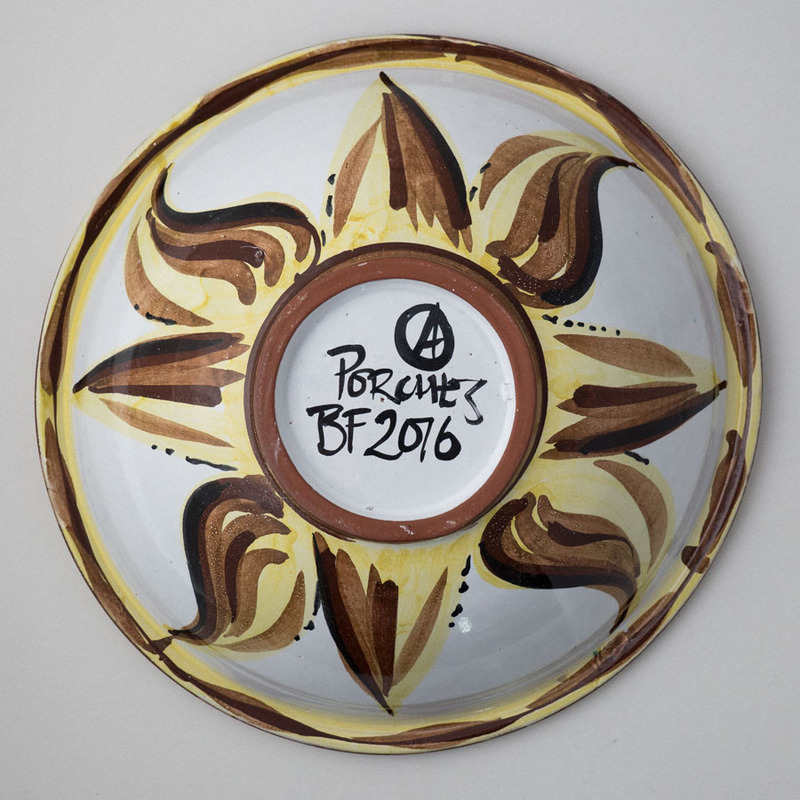 The dish is decorated front and back in tones of yellow, ochre, and chestnut brown. You can read about our history and techniques and find useful tips on caring for your majolica pottery too. Approximate dimensions; height: 9cm, width: 35cm.